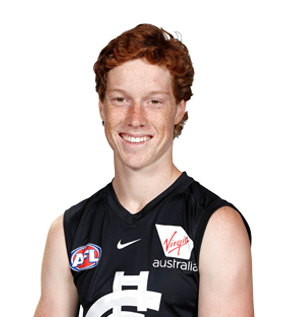 New Blue Finbar O'Dwyer has been handed the No.38 guernsey ahead of his debut season. Tidy in the air and clean at ground level, Finbar O’Dwyer is a versatile young tall who has the attributes to be a damaging forward. Taken with pick No.66 in the 2018 NAB AFL Draft, O’Dwyer enjoyed a growth spurt of 10cm in 12 months and has a lot of scope for development. He looms as an exciting prospect.